Special Features: Sneak peek into, Every Last Lie. After reading two of her previous books, I thought for sure I had this mystery done, and figured out. I know Mary Kubica likes to throw in twists and turns, and I thought for sure I cracked the case. Boy was I wrong. Near the end I pieced it together but by that point it was obvious, and it was later confirmed in the next chapter, but still. All assumptions I conjured up were way off! Don’t You Cry was exciting, thrilling and fun to try and piece together. Even if I was wrong on multiple accounts. 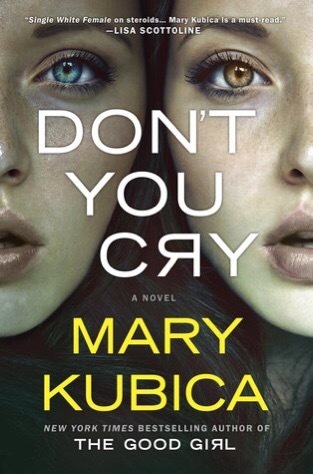 Mary Kubica is definitely an author to watch. At this rate she as wiggled her way into my top five favorite authors. I never thought I’d read a book, let alone three by the same author that would leave me stunned and bewildered like Kubica has managed to do with first, The Good Girl, then Pretty Baby, and now Don’t You Cry. She will have you second guessing everything, and once you think you have it solved, you’re changing your mind again. This psychological thriller will have your mind spinning. I never wanted to put this done, and to just keep going. However things like work got in the way, and restricted me from reading for hours out of my day. My overall rating: 5/5 star. Could not put it down, and neither will you when you read this. Would I recommend: Hell yes! Beast, meet princess. Princess, meet beast. Yes, this is the adult version of Disney’s, Beauty and the Beast. Brenda is the lost princess of Elden, and has been cast away by her parents for her own safety, in hopes that she and her brothers will one day return and reclaim their kingdom. Lost in an unknown places, Breena stumbles across a cottage and 3 bears berserkers. Osborn has sworn vengeance against all of Elden, but more particular the King, Queen and their children for the brutal slaying of his people. As the only berserkers left, Osborn has built a sheltered life for himself and his two brothers. But when they return home to find a distressed princess passed out in their home, little do they know their world is about to change. A quick, easy, romance novel. Osborn is an aggressive brute, who doesn’t like change and wants what he wants, and will take it whenever he pleases. Breena is a, surprisingly down to earth, low maintenance princess, who demands very little. Except for the help for avenging her family. Neither characters were overly interesting, or intriguing. It was just a lot of back an forth, “Don’t be alone with me”, ‘wait, let me touch your face’, ‘hold on, let me soothe you to sleep’, “I thought I told you to not be left alone with me”. Come to think of it, there really wasn’t much of a plot to this story. At least in the first book, Lord of the Vampires, Nicolai and Jane had to escape their captures. All Breena and Osborn had to accomplish was seeing you can repeat themselves the most, and breaking their own rules. Would I recommend: I suppose. There’s was nothing wrong with Lord of Rage. If you’re looking for complexity, you won’t find it here. If you’re looking for romance, and no serious conversation or plot? Then yes you’ll love this book. It’s quick and easy to read. And if you’re looking to fill in time between reads, or tryin to catch up on your Goodreads challenge, then this book will be perfect. So after seeing Justice League tonight, it is absolutely clear, that the DCEU is terrible at story and world building. Granted it was still an enjoyable movie, however it needs work. I hate pitting DC against Marvel, but the truth is, is that Marvel does do a better job at committing you to their characters, and becoming invested in them. And a big thanks to that is the sole movies, something the DCEU lacks. That and so many reboots. Yes Sony has Spiderman which has been redone three times, but the Marvel story as a whole hasn’t been redone. Where has DC has redone Batman and his history too many times, you can’t get a foot in the door before you’re kicked out again. While I enjoyed Cyborg, and Barry Allen a.k.a The Flash (but that feeling died quick) I wouldn’t have been sad if they’d die, or were no longer apart of the team. There wasn’t enough to make me feel anything towards the character. Towards the end Cyborg grew on me, but not enough that I’m eagerly awaiting his movie, or to see him again in a team up. However, Ray Fisher did a tremendous job at playing the part, it’s just unfortunately he was thrown at us, and there was too much to take in, as the movie as a whole, to make me love his character. Barry Allen “Flash” was annoying, and I wanted him gone almost immediately. At first his corky jokes were fun, but the problem? They never stopped. Either it was the writing, or Ezra Miller trying to steal the show, and was putting in to much effort to be funny, it was just childish. He was the kind of annoying that you hoped something would happen to his character just to make the, boarding on obnoxious behaviour, stop. Especially the bat cave scene *insert intense eye roll here*. Jason Momoa’s Aquaman ‘Arthur Curry”, I felt near the end was too much like Momoa himself, however I left the theatre eagerly awaiting to see his movie. Mainly because I have such faith in James Wong, and he’ll make sure the movie has what it needs, and rein in any behaviours, or creative choices that don’t belong in the film. And there was a nice little surprise, that we’ll be seeing more of the Aquaman’s feature film. Batman (Ben Affleck) and Wonder Woman “Diane Prince” (Gal Gadot) were the best in the film. Nothing too much to really add on them, other then they were the ones to carry this film. However, there was a major problem with Wonder Woman, and it had everything to do with how she was treated in this film. The Wonder Woman film is 10X more cleverly written, and thought out, especially once you’ve seen this movie. Diane Prince was just boarding on solely being a sexual object to the men. There were two terrible jokes involving The Flash and Aquaman. While everyone gets the title of “strong”, “warrior”, Wonder Woman in not one of them. Even though when it comes down to it, she could easily take out every single member of the Justice League should she see fit. But she doesn’t, nor does she belittle anyone with degrading comments or actions the way Aquaman and Flash did. And after the success of Wonder Woman (which was written by Allan Heinberg, so being written by a man is no excuse to knowing how to write a female character, it just depends on the man writing it) there is no excuse for her to have been treated son poorly by not only for fellow team mates, but by the people behind the camera bring her to life. And the two men behind Justice League, Zack Snyder and Joss Whedon. The villain, Steppenwolf and his parademons, were weak opponents. Again he was just thrown at us, and made to believe he this otherworld, unimaginably powerful foe, and yet when you meet him, he’s meh. His defeat was slightly pathetic, and considering how it happened, the group should have managed to bring him down sooner. 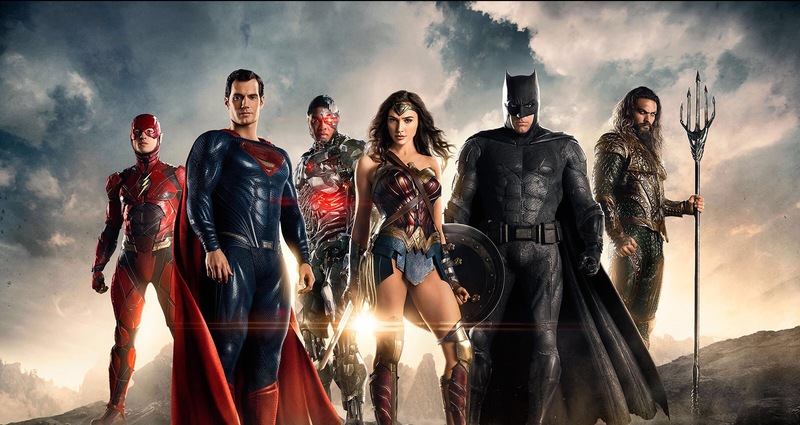 Would I recommend: Justice League is still an enjoyable movie, and I would definitely see it again, however it has many flaws. Flaws that I hope are fixed with the upcoming movies. One of the flaws being Joss Whedon not returning to the franchise. Special Features: Rancher Under Cover (Kelley Legacy miniseries) expert by Carla Cassidy. 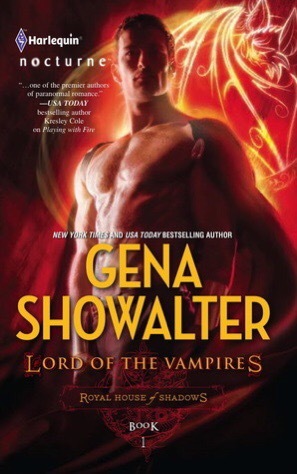 After Showalter’s recent Lord of the Underworld books, Lord of the Vampires was a reminder of how much better LOTU used to be. Not that their not any good any more, but they used to be better. Lord of the Vampires was a fun little read, only 280 pages so it was quick. If you like realistic type relationship, that move at a relatable speed, then you might not enjoy this book. Nicolas and Jane fall in love very quick, in a span of…a few days. But let’s be honest, if your coming for the romance, and supernatural element, you’re not too concerned about appropriate romance building. Nicolai a prince was thought dead is back from the grave, and recruits the help of Jane who has suffered tremendous loss. Until one day she ends up in a realm of creatures she has been hired to study and falls (hard) for the prince. The kicker? The duo have met before, and yet have no recollection of their previous meetings. Together the escape their captures, and begin to make their way back to the lost kingdom of Elden to reclaim the throne. Along the way, both experience passion, and undyin love for one another (yup, that quickly). One can hope that LOTU can find it’s way back to where it started, just like Lord of the Vampires reminded me. Would I recommend: Yes, if you love Lords of the Underworld from it’s eariler days, then you’ll love Lord of the Vampires. So…Note to self, always read the back summary before starting the book. I though since the three previous books were narrated by Ali, so would A Mad Zombie Party. No. A Mad Zombie Party bounces back and forth between Frosty and Milla, and my god were they annoying. Prior to A Mad Zombie Party I enjoyed the glimpses we got into Frosty’s life, but having him and Milla narrate a book together. Nope. I found reading their story difficult. What threw me off from the start was how quickly Frosty, and the gang forgave and accepted Milla after what she had done. The main problem: Frosty and Ali. Due to Milla’s mistake, she played a part in Kat’s death. For three books we’ve seen the close friendship, boarding on sisterhood form between Ali and Kat, as well as Frosty’s relationship with Kat. It was as if the progress between these characters meant nothing, and Kat was just a weak obstacle in everyone’s way. 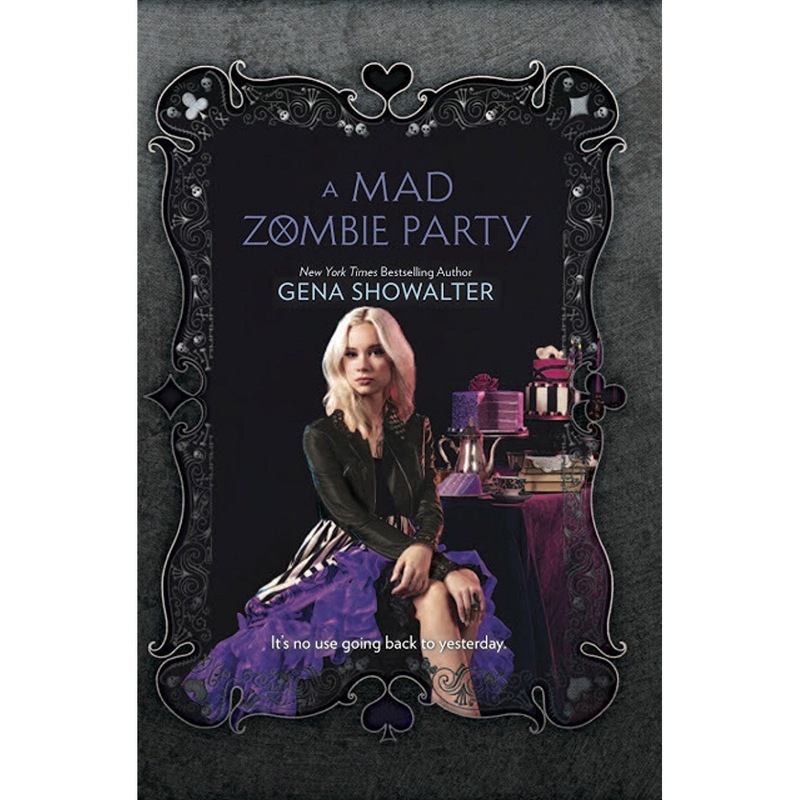 A Mad Zombie Party was a story that should have been condensed into a short novella. The Frosty/Milla story just wouldn’t end, and I desperately needed it to. If anything, have Ali and Cole come back to lead the story. Or any else really. What I would have liked to see though was more Reeve and Bronx. They were pushed off to the side, and only had a few lines combined. Bronx was just a silent bodyguard, while Reeve acquired some crazy doctor skills since her father’s death. Something Milla also had a hand in, so it was surprising to not see Reeve’s reaction to having Milla in her home. A Mad Zombie Party just fell really flat for me, I feel it should have ended a lot sooner then it did. Perhaps this should have been more of a novella then a full length novel. The end notes were a nice touch though. Having insight to where each character and their partners ended up was a nice way to end the series. But again Milla and Frosty were actually hit least interesting. Ali and Cole had the best ending, it’s just too bad they didn’t get to give the series the better send off then Milla and Frosty did. Would I recommended: No, unless you’ve already started this series and want to finish it for the sake of completing it. Just lower your expectations. I found this enjoyable, to a degree. It’s your typical teen novel; girl has a dilemma, recieves help from two handsome, yet rival boys, manages to accomplish the impossible, and must choose between good or evil, sweet boy or mystery bad boy. The answer to the last is fairly obvious. But in this book, I really didn’t see much of a love triangle. From the very beginning it was clear who Ten’s choice would be. While the action did seem nonstop, the action sequences were incredible hard to believe, especially with Ten. The amount of death/near death experiences, there is no way anyone could have survived. And during these moments, it would take me out of the story to question the logic. The idea of the novel was intriguing, and interesting, and I will definitely continue with this series to see where the characters end up. Though with books like this it’s easy to predict the characters direction before they make it themselves. If the person exhibits angelic, selfless intentions, then the chances of them choosing the good team are highly plausible. If they travel along a dark both, perhaps thrive in greed, the evil would be too tempting. 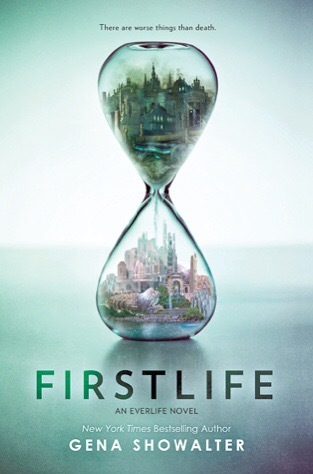 Firstlife is a fun, quick read, for someone younger, who’s more compelled to be tossed into a love triangle (that isn’t really a triangle), and a tough teenage girl who can do no wrong, and can do anything/everything. Recommend: To a younger audience. The only reason I chose to read Firstlife was because I throughly enjoy Gena Showalter’s other books and decided to give it a shot. Reminded me so much of Women of the Otherworld, and yet at the same time it was so different. 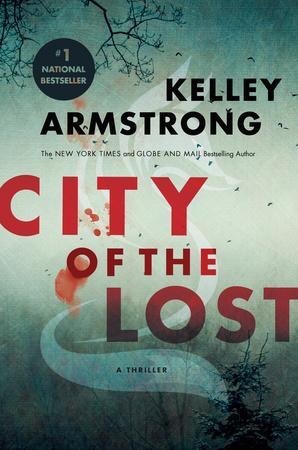 If you’re coming off of WotoW series, City of the Lost will feel both like home, something new, and something mysterious. As Casey and Dalton search for the killer among them, I grew suspicious of who the killer might be, a little more then half way through and I think it’s because I didn’t want to believe it was them. The arches/twists of a few characters were shocking, and unexpected. Something I really appreciate in a book. I hate when I can guess the turn out before even reaching the half way point. A definite must read, I could not put it down (expect when responsibilities got in the way, like work). Special Features: signed by the author and illustrator, and 6 illustrations. Who doesn’t love a good ghost story? A lonely ghost dressed in white walking along the highway, stopping anyone who passes by. Feeling lost with no where to go, she elevates that loss onto others. Who then have only 48 hours to right their wrongs, and get back on course. You also get to dive more into the fae world, and see Gabriel and Liv start to accept more and more of their own roles among the fae. 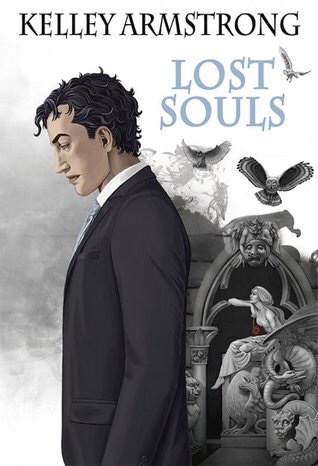 Lost Souls is Armstrong’s annual novel she releases with Subterranean Press, and takes place between Deception and Betrayals, but can be read on it’s own without giving away anything from the previous books….scratch that yes it does, about a certain someone’s parentage.